There may be occasions where you make or receive part of a payment such as an invoice, payslip etc. 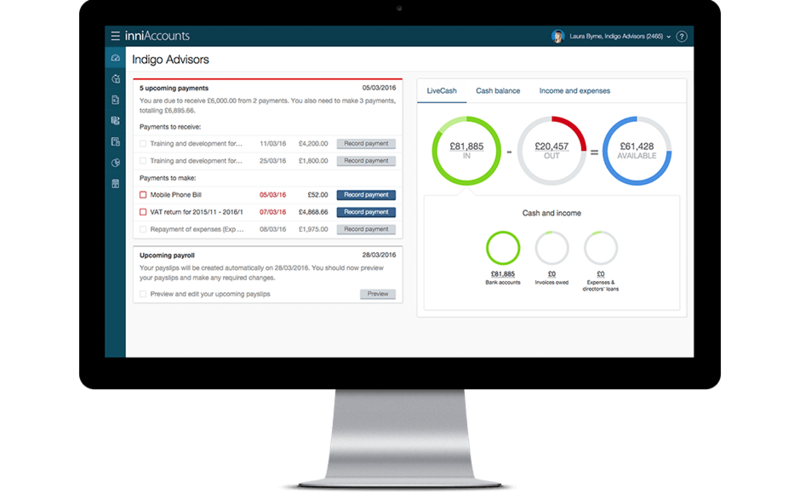 inniAccounts allows you to record and track part payments for easy reconciliation at a later date. Where you have a pending payment in your Bookkeeping area you can match part of the payment. Any balance due will remain as a pending payment allowing you to keep track of it until it is paid. A common scenario is when you are not paid the full balance of an invoice. In the example below an invoice has been submitted for £1,200 including VAT but only £1,000 has been paid, i.e. the 20% VAT has not been paid. This scenario may occur where you are waiting for VAT registration and your client withholds the payment of VAT. A pending payment for the invoice is listed in the Bookkeeping area. To match a part payment click the match button. 2. When matching the pending payment against your bank statement, input the details exactly per your bank statement, i.e. make sure the date and amount match. 3. When you save the transaction it will show the amount you have paid / received as per your bank statement and a pending payment will remain for the balance of the transaction. 4. When you receive the payment for the remaining transaction balance you can then mark the pending payment as paid.